Florio's history dates back to 1833 when Vincenzo Florio started in the production of Marsala and became the market leader worldwide. After my recent visit to the winery, cellars and matching several Marsala's with local cuisine and desserts - you see how dynamic and interesting Marsala wine can be with so many every day dishes and occasions. The Grillo grapes are grown on typical bush vines located not far from the coast at some 50 meters above sea level. After hand harvesting - they carry out a careful pressing of the grapes which have a high sugar content - with the aim to pass the precious substances found in the skins to the must. Fermentation at a controlled temperature and liquoring with the addition of 'Mistella', 'Mosto Cotto' and grape spirit to the wine. Aged for at least 5 years in oak barrels with a capacity of 1,800 litres and then refined for more than a year in ancient 300-litre barrels. Maturing at least 6 months in bottle before release. The finished wine has an alcohol of 19% and a residual sugar of 70g/l which gives the wine both mouth feel and presence. In the glass you will be greeted by a bright amber colour with topaz highlights. On the nose bright scents of dates, apricots and dried figs. The palate is intense with full, warm flavours, with a smooth and velvety mouth feel and a lingering finish of dried fruits. Serve at 10° - 12°C. Drinking perfectly well this season; and will age for another 7-9 years. A lively dessert wine, plus an excellent sipping wine. 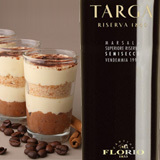 Matches well with desserts, dried fruit and nuts, fine pastries, enjoy. A traditional wine, that is designed to be shared.